Elmdale began life alongside the tracks of the Texas and Pacific Railroad in the 1880s. The name of Elmdale may in fact come from some trees that were present during settlement while another source claims that the trees were a mirage – seen by pioneers. optimistic settlers. The town built a one-room school building in 1895 which was also used by (tiny) congregations of Baptists, Methodists, and the Church of Christ. Even when the town was granted a post office in 1905 the population was less than 20. Elmdale’s population swelled to 20 residents by 1914 and five years later they had replaced the frame school with a modern brick one. 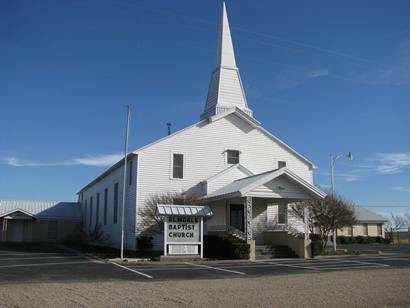 The Baptists constructed their church building in the mid 20s, enlarging it in the 1930s. The post office closed it’s doors in the late 1920s and the Great Depression hit the town hard. 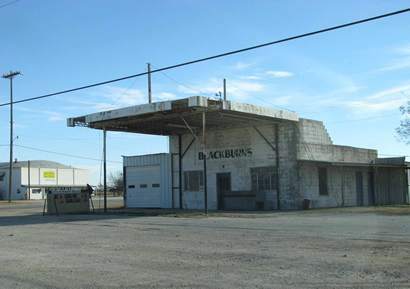 One business remained by 1940 along with the Baptist Church and the school, which burned in the late 1960s. 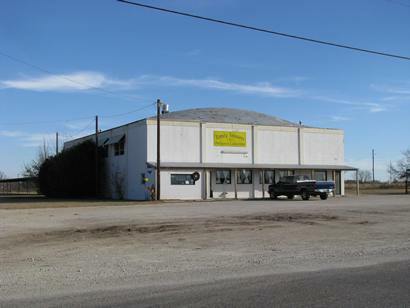 Elmdale was within the city limits of Abilene in the 1980s although the 2000 census was able to take a separate count of 50 people there in 2000.